The Queen’s Solar Design Team is currently building a fully autonomous, net-zero energy home here on Queen’s west campus, which we have named the Queen’s Solar Education Centre (QSEC). The QSEC will function completely off-the-grid using a wide array of advanced technologies, ranging from solar panels, to a rainwater recycling system, to radiant floor heating. Unfortunately, implementing these new technologies is often expensive. 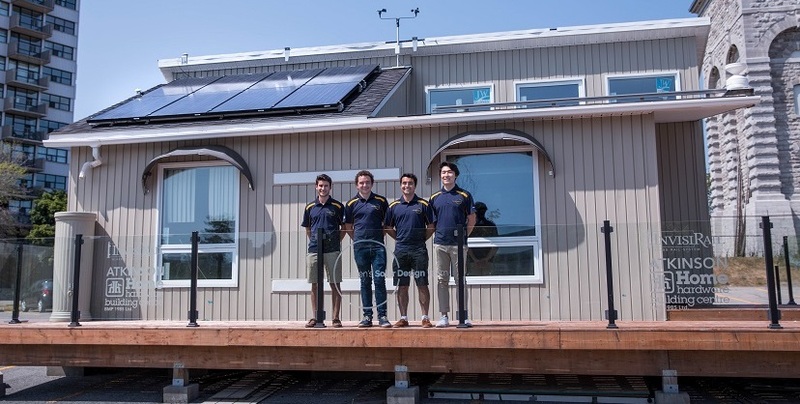 Your donation will assist us in fulfilling our dream of a fully autonomous home on Queen’s campus while also serving to advance innovation in the field of renewable energy. Moreover, the team will host many educational tours in the QSEC throughout the coming year in which community members will learn about its features and the virtue of sustainable living. By allowing us to run these workshops, your financial contribution will have far-reaching effects in the Kingston community and beyond. Together, we can turn our vision of a sustainable future into a reality.